Good day, eh? 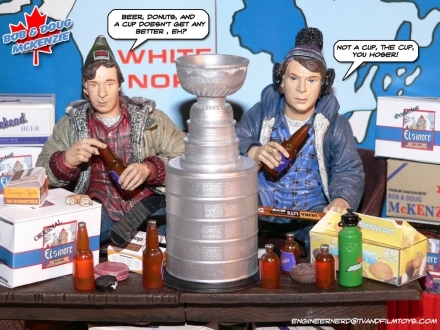 I’m Bob, this my brother, Doug and this is the Stanley Cup. I couldn’t resist combining these things all together for a desktop wallpaper. Yes, the Donut boxes, Eslinore, and Tim Horton’s TimBits box are all custom. Maybe if enough people ask, I’ll post ’em. Take off, eh! I need those little Elsinore boxes you hoser!